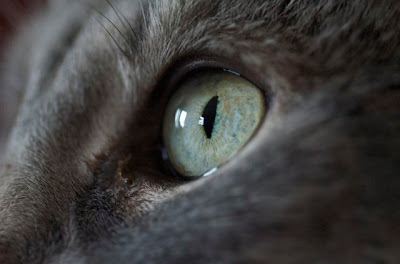 Today I'm sharing a few more photos of cat eyes. Both are from my cat Lucky. View from the side. You can see the window reflected. 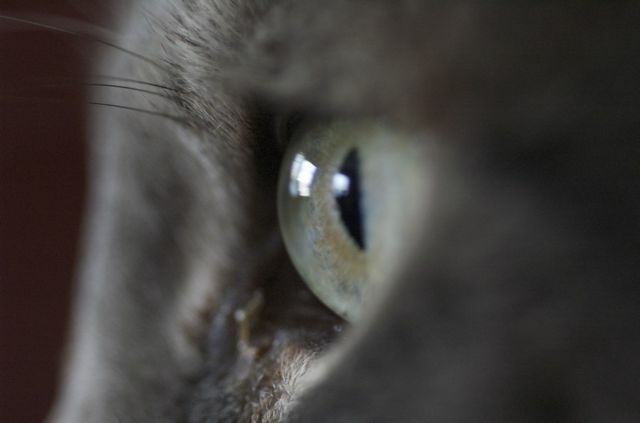 Tomorrow will conclude my cat macro series. I hope you enjoyed. Thanks Ann. I love cats eyes. If that's not obvious from the last few days posts. Have a nice day. This is the fun one. I love looking at cat's eyes. I think most people are intrigued by them. The eyes of a pure predator.